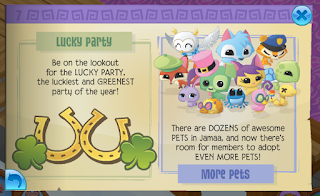 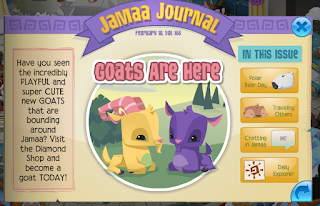 Animal Jam Mercury: Goats Are Here!/Jammer Snaps Take a snap of you in your favorite den! 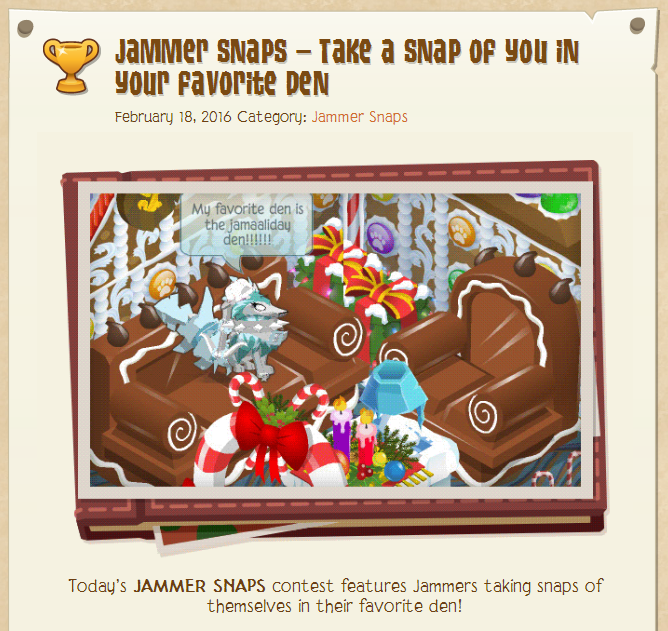 Goats Are Here!/Jammer Snaps Take a snap of you in your favorite den! 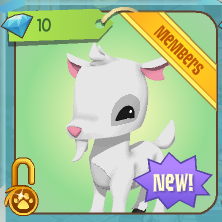 It is at the Diamond Shop for 10 diamonds. 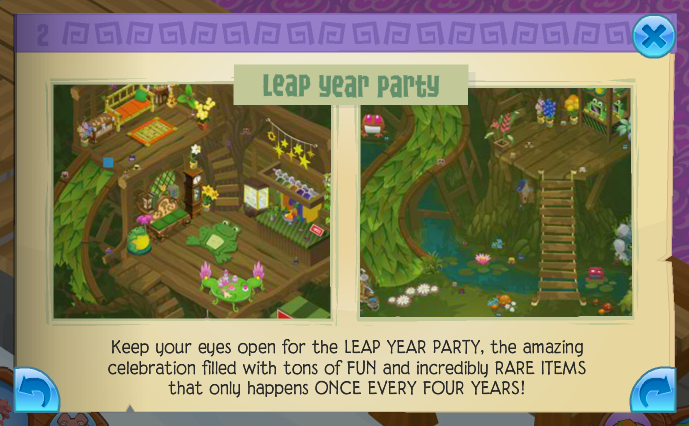 LEAP YEAR PARTY! It happens once every four years! 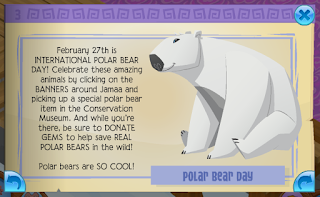 Make sure you click on the polar bear banners around Jamaa! 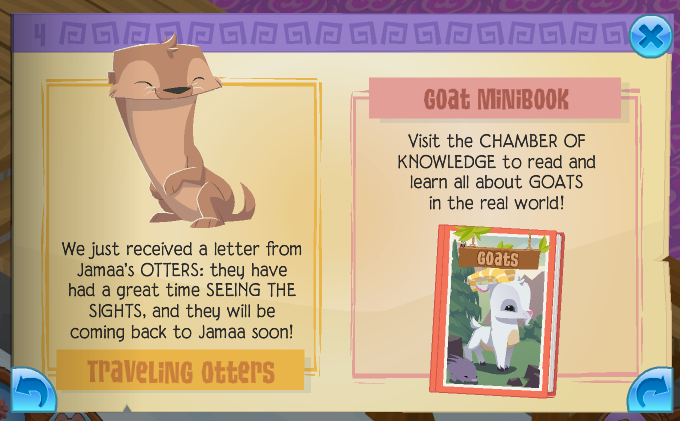 the goat minibook in the Chamber of Knowledge! 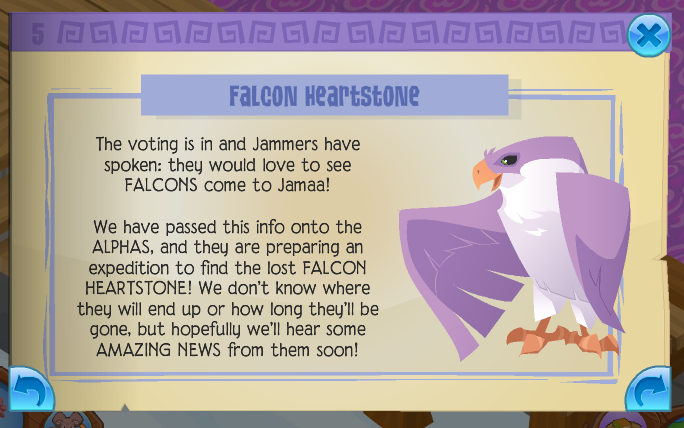 Falcons are coming to Jamaa soon! 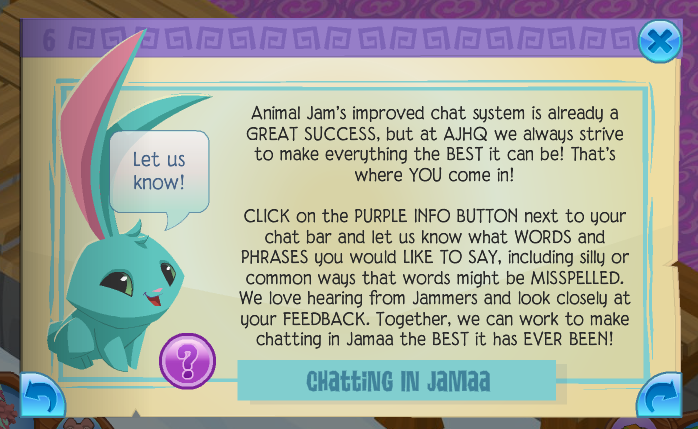 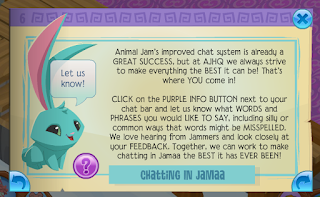 Old news about Jamaa's chat system. 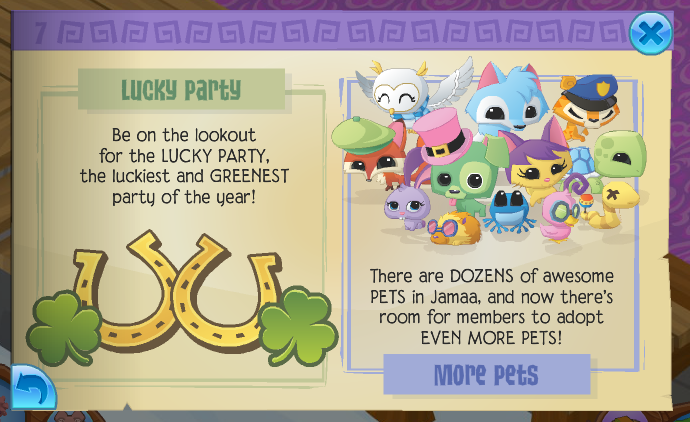 pet slots for members to adopt more pets! Take a snap of you in your favorite den!